The Dryden Ensemble's CD is finished! The CD, "Handel's Italian Muse," features Julianne Baird in arias from Handel's early Italian operas: Rodrigo, Agrippina, and Rinaldo. Instrumental works include the Opus 3 Concerto in F Major and dances from the operas Rodrigo and Radamisto. 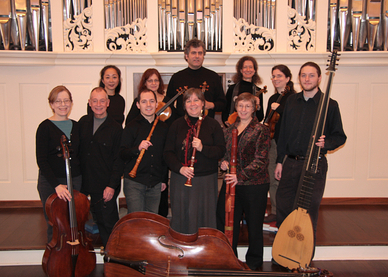 Performing on period instruments are Jane McKinley, Stephen Bard, Marilyn Boenau, Rachel Evans, Vita Wallace, Mark Zaki, Jessica Troy, Lisa Terry, Motomi Igarashi, Charles Weaver, and Webb Wiggins. 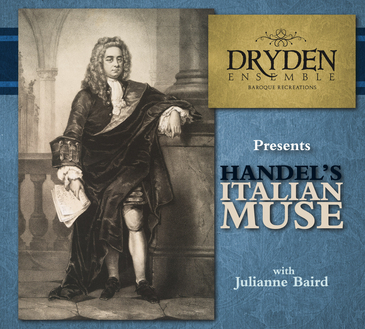 Purchase a copy of our CD: "Handel's Italian Muse" featuring Julianne Baird.